KANSAS CITY, Mo. – Park (Mo.) remains in the No. 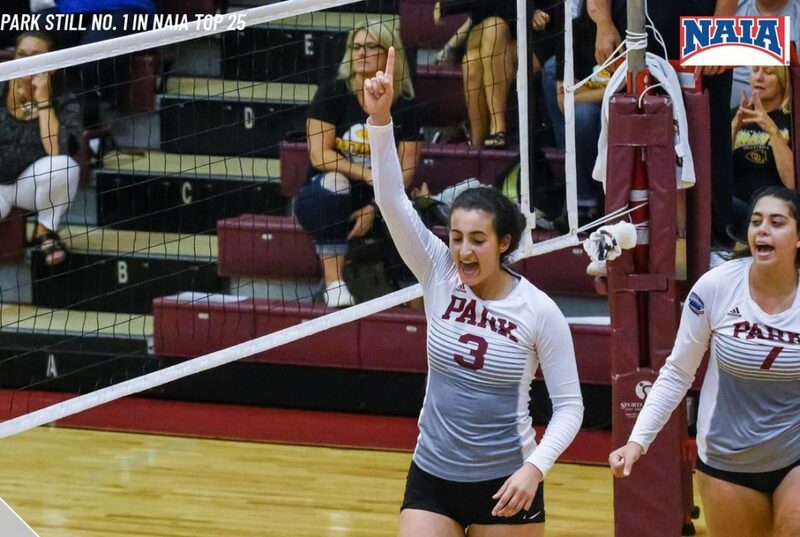 1 spot in the latest edition of the 2018 NAIA Women’s Volleyball Coaches’ Top 25 Poll, the national office announced on Tuesday. Park is one of three undefeated teams in the Top 25 poll. What sets the Pirates apart from the other two teams though is that they have not dropped a set to date. The Pirates will get into the heart of conference play in the American Midwest Conference in the next two weeks with three of the team’s next five games being against conference opponents. Lindsey Wilson (Ky.) holds the longest active streak in the Top 25 with 59 total appearances.